his speech rocked - no getting around it. I'm not sure even Pres Reagan could have gotten those nasty ignorant white clothed beatches to applaud. liberal, along with stupid smartass stuff. NOT ONE liberal said "oh, it was bad - short on details" . But even Trump's excellent speech - sure enough, first thing I heard from a liberal was "short of details". I've said for years it seemed the left desperately wanted to own the wealth of America - and the power, to the point of never having to give it up. But eventually, as they found out with george assface mcgovern - his was one of the worst defeats in presidential history. Now, the left is back - bigger - help of the media - etc etc etc. Just Thank GOD we have a President with the nads to stand up to them now. Yeah, that is why he ran, that is why we elected him. Tough socialist invisible cookies, lefties. Remember when you made fun of liberals for thinking Obama was their savior? what IS it with you? I surely ridiculed nutjobs worshipping ObaMao as their savior. Trump is not that. 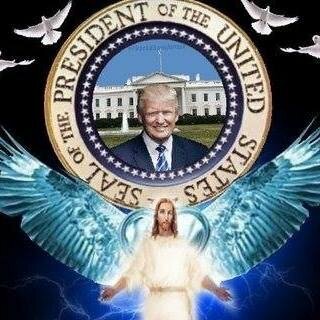 Nobody worships Pres Trump. But his state of the union speech was very possibly a historic BEST of all sou speeches. A great speech inspires. That great speech inspired Real America. Similarly, Winston Churchill gave his famous "we shall never surrender" speech. That is what great speeches do. This Pres Trump SOTU. speech, was a great, inspiring speech. also, similarly, was his point - REAL AMERICA WILL NEVER SURRENDER AND BECOME A SOCIALIST COUNTRY. You are so ignorant, you can't stay on topic. Worshipping obama is a completely separate subject. 2 days ago - In his third State of the Union address, President Donald Trump on ... U.S. Congressman Doug Lamborn: President Trump hit it out of the park. Cal, there are far too many of these things around in my neck of the woods. There are many that do worship Trump in a god king sense. I felt it just as creepy under Obama by the way. Those things are posted unironically by people who go to church with my dad. Haha it can’t be good. Something about false idols. egad, that IS sickening. I don't, I just said that his SPEECH saved America. Woodypeckerhead changed it to talking about worshiping obamao commie. I haven't heard any school children singing praises to PRes Trump, have you? Yeah guys, he doesn't worship Trump. He's just saying this was possibly the greatest SOTU address ever and it SAVED America. Chris Wallace is saying the same thing I am. He's no conservative hack, that's a fact. republicans are saying the same thing I am. If Trump keeps coming back to WV for rallies I can guarantee a choir will be waiting for him haha. Anytime someone who won a popularity contest is treated like some infallible hero I get the creep tingles. Not inferring you are acting that way, Cal. thanks, it's just the speech. The inspiration of the sentiments explained - Like I mentioned, Pat Paulsen could have made that speech (in sincerity), and it would have been a great speech. The words Winston Churchill said in his speech inspired and rallied the Brits to stand strong. That was an all time greatest speech. Regardless of who made the speech - it was one of the best sotu speeches in American history. Didn’t he lose the popularity contest?